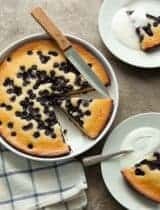 Today I have two friends and fellow whole food bloggers stepping in for me who have each created allergy-friendly recipe resources they’d like to introduce to you. 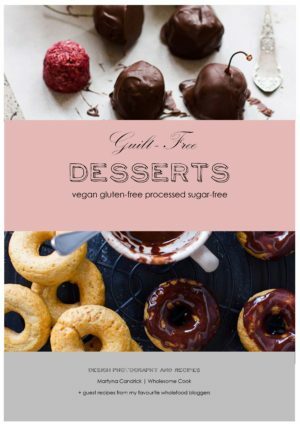 Martyna from Wholesome Cook has just released her second e-book called Guilt Free Desserts which contains 36 gluten-free (a few are grain-free), refined sugar-free and vegan recipes that she created so those with allergies and sensitivities could enjoy dessert again. 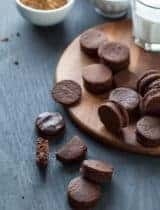 After a decade of being dairy-free and adjusting classic recipes to be allergen-free, Leanne from Healthful Pursuit has put together a resource guide for making going dairy-free easy which includes a selection of the best dairy-free (and gluten-free) recipes from her blog. 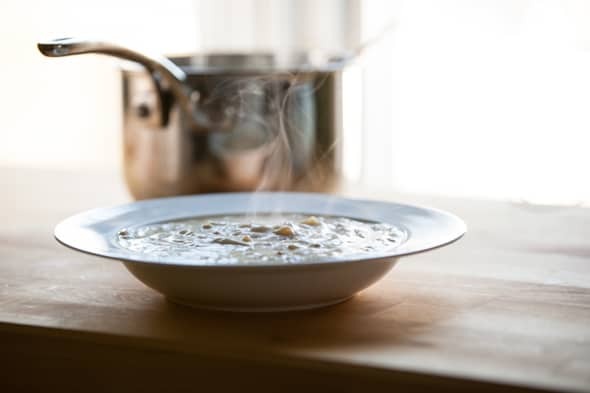 The aim of my blog, Wholesome Cook, is to create a point of reference for healthy, nutritious and easy to prepare meals, without breaking the bank or over-complicating things. More recently many of my recipes have focused on being allergy-friendly. In fact it is a family history of allergies that inspired me to publish Guilt-Free Desserts. 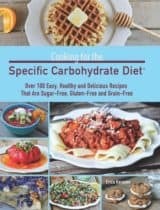 When my sister-in-law contacted me for recipe advice when she was first diagnosed with a severe intolerance to eggs, soy, legumes and, to a lesser extent nuts, on top of her gluten and dairy allergies, I wanted to help. But she wasn’t the only one. While my father-in-law has had gluten and dairy allergies, he has recently been told to limit the amount of sugar in his diet as well. And so my research into the best sugar substitutes began and the eBook became processed sugar-free. 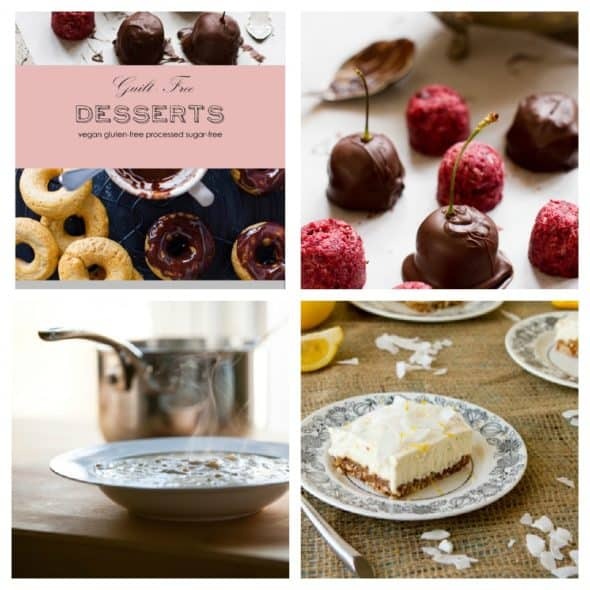 Put simply, I didn’t want them to miss out on cake at family gatherings, cookies with their afternoon cup of tea, a chocolatey indulgence every now and again or icy treats in the heat of the summer, so creating the Guilt-Free Dessert cookbook seemed like a natural progression. 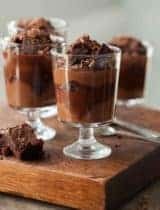 In fact, many of the recipes are perfect for large gatherings such as school picnics, birthdays and so on because there are so many people affected by severe reactions to traditional ingredients. 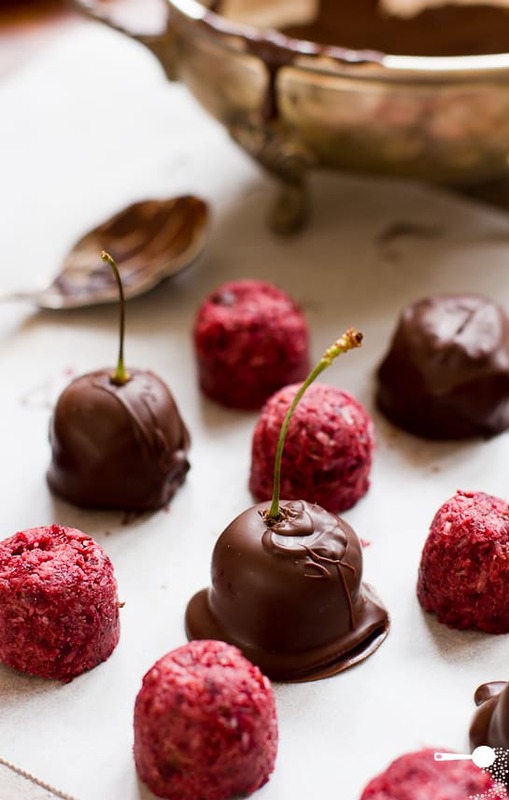 Martyna is a Polish-born professional recipe developer and recipe blogger from Sydney, Australia. 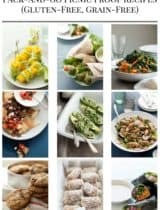 The aim of her personal recipe blog, Wholesome Cook, is to create a point of reference for healthy, nutritious, allergy-friendly and easy to prepare meals, without breaking the bank or over-complicating things. Although she tries to eat a diet of super healthy food, she is not pedantic about it. 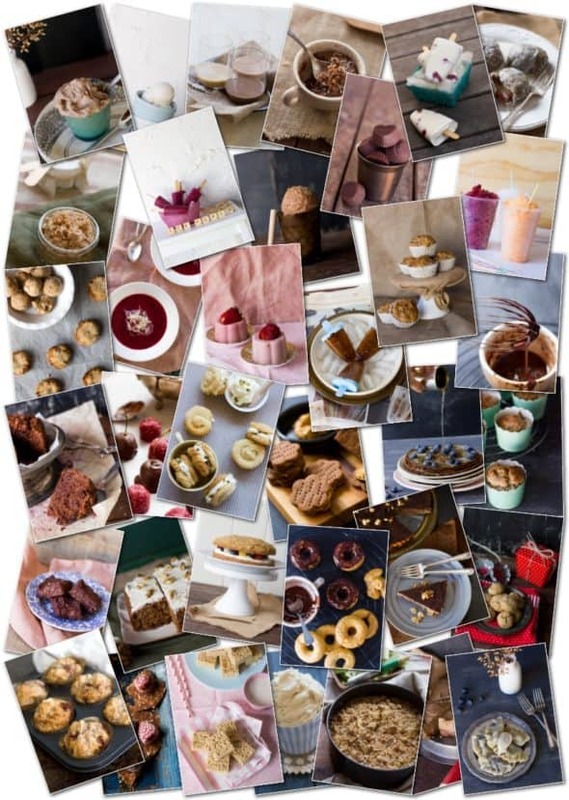 She believes in the 90/10 rule – eat well 90 per cent of time, indulge in the remaining 10 per cent; as it makes changing habits and eating healthily that much more attainable, every day. Hi Everyone! I’m so pumped to be here today sharing the good word of the dairy-free lifestyle with you. Are you ready? First thing’s first… are you dairy-free? If you’re not dairy-free… do you think that dairy (milk, yogurt, butter, cream…) may be causing issues health issues for you? Maybe you struggle with digestive issues, fatigue, clogged sinuses, adult acne, ear infections, yeast infections? Or maybe you know of someone struggling with removing it from their diet? It’s tough…but it doesn’t have to be! After a decade of being dairy-free and learning what it takes to thrive on the diet, I created the Done with Dairy Toolkit – a (free) guide to living dairy-free with loads of dairy-free recipes and health tips from yours truly. Plus, the recipes are gluten-free and ridiculously simple. Recipes like homemade shredded cheese for your next casserole, chocolate pudding, butter cream frosting… the opportunities are endless! 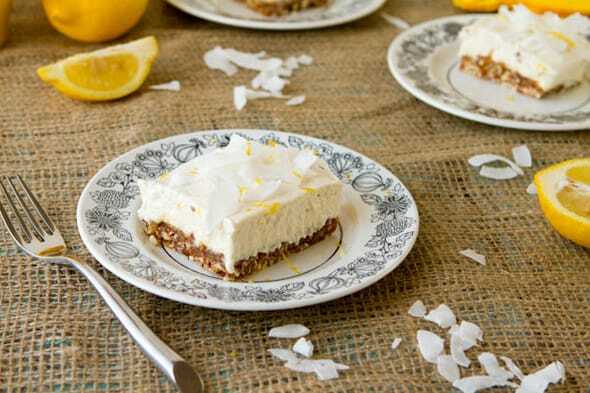 These lemon cashew squares have a whipped topping that’s 100% free of dairy and 100% full of creamy deliciousness. And it tastes like the real thing. Just check out the comments that readers have left on the post! 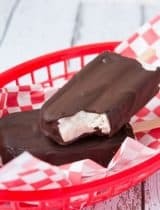 So you see, whether you’re new to the dairy-free lifestyle, totally overwhelmed by the thought of going gluten-free, or you’re a seasoned veteran, being dairy-free can be fun, colorful and exciting! I’d love to know – have you tried going dairy-free? How did it go? What sorts of foods did you enjoy or… not enjoy? Leanne Vogel is a holistic nutritionist on a pursuit of self-discovery through allergen-free recipes, travel, yoga and inward reflection. During her trip to India last year, Leanne was inspired to cut the extra baggage out of her life, embrace her true self and begin to live authentically. After returning home, she quit her highly successful corporate job and moved across the country, all in pursuit of the life she’d always dreamed of. You can find her living out her journey as she documents her latest adventures on her blog, www.healthfulpursuit.com. 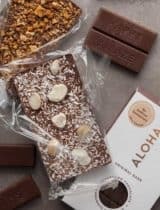 Do you have friends or family members with food allergies or sensitivities or do you follow a gluten-free, dairy-free, or refined-sugar free diet? What has your experience been? Thanks so much for having me over... and introducing me to Martyna! We make a pretty great team, her an I. Heading over to her blog now to check out this book of hers! Two of my fave bloggers!! I don't have dairy senstivities (except for the occasional breakout which I suppose could be linked) but refined sugars do not sit well in me. Lemon Cashew Squares are high on my list of must-makes! What a gorgeous book, thank you for the introduction! I am delighted to learn about both of these terrific bloggers. I am reducing gluten and sugar in my cooking, so this is perfect timing. Thank you for sharing, Sylvie! thanks for sharing sylvie. checking out leanne's page as well as martyna's blog. Giving up dairy would be so hard to do... but I do want to eat it in moderation so these alternatives are always welcome! Thanks for introducing me to Martyna - I know Leanne and love her enthusiasm and creativity. Going dairyfree can be intimidating at first, so it's nice to have these resources. Thanks for introducing the book and the site - look forward to exploring it! Woah! What a post! Each one of those pics looks magnificent! Well you know these are right up my alley! Thanks for sharing, Sylvie! Those lemon cashew squares do look wonderful! I'm calling witchcraft! I will definitely check both of these out. 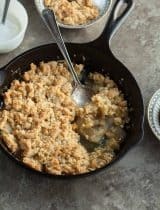 I've been wanting to experiment with cashew cream desserts for a while, so that one is first on my list! oh they all look yummy! Wonderful to know the talented blogger here, Sylvie! Looking forward t read their blogs...and yes, am always for dairy free desserts. I am sure is Martyna is Wonder Woman with all the great work she does and as for Leeanne - thank you for introducing her to me. Heading over to check out her site now which I am sure will be great!